Tenkara fishing is based on simplicity of gear and does not require a lot of accessories. That is why to stay true to the original tenkara philosophy we only offer a small selection of high quality products in this category. Embroidered thermo-adhesive patch with the Tenkara Style logo. The Nissin SP10-B-BL hooks have been designed in collaboration with Masami "Tenkara-no Oni" Sakakibara and the production is done by Gamakatsu, serious guarantees of quality. This zinger retractor is the perfect accessories that can avoid you to live this bad moment when you realize that you have lost your barb crusher tool or hook release when you need it. The retractor cable has a length of 75 centimeters. Available in charcoal, blue, red and green. KTC-12 Fuji rod cap are a very useful protection for tenkara rods. This also makes a very good back up in case you lose the original rod cap. They are bigger and harder to lose. Fit rod tip under 12mm of diameter. 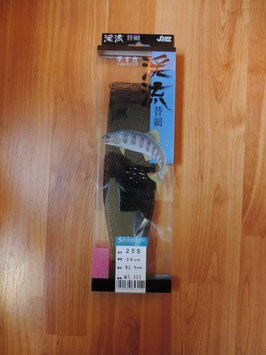 KTC-16 Fuji rod cap perfectly fits with NISSIN Royal Airstage 360, Professional Kawashi 390, Pro-Square Super Tenkara rods. This very strong and functional tenkara lline spool is perfect to be locked on your tenkara rod handle when moving from one spot to another. The flat extensive tissu will keep your line from unfolding and will protect your tippet from UV rays. Each pack contains identification blank stickers. Ultra strong, durable and functional. This coil memory leash is made of polyurethane. It is a simple way to keep your tamo linked to yourself. It can avoid to forget your tamo after your lunch break for example. This product is designed and produced by Shimizu in Japan. Available in charcoal or green. Do you want to store your small equipment in a simple, functional and durable pouch? This mesh pouch with two compartments, each with two zips, will help you effectively. Designed Hiromichi Fuji, the father of modern tenkara. These tenkara lines spools are not only beautiful they are very functional and incredible light. 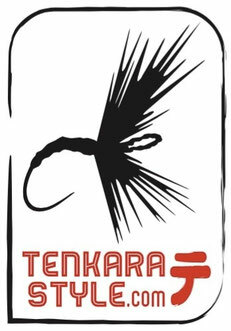 Tenkara has always pursued simplicity and lightness in the fishing gear. NISSIN now offers this ultra light EVA fly box, fitted with a safe magnetic closure system. Keep it in your vest or attached to your lanyard thanks to a special ring mounted on the frame. Tenkara rod tube made of high grade aluminium by NISSIN. Closed by a waterproof aluminium cap. Carbon fiber rod tube designed and produced by NISSIN. Aluminium cap with a 0-ring to keep it waterproof. Handle a couple of tenkara rods in staggered row. 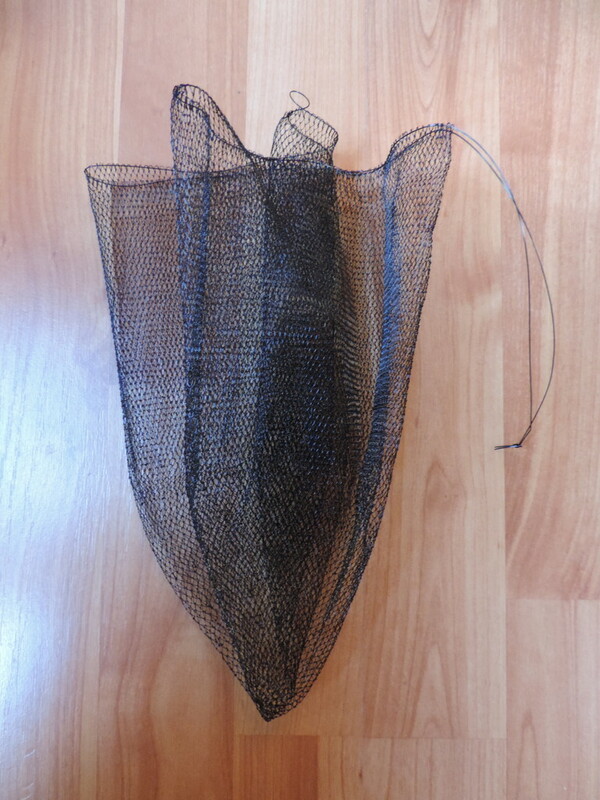 If you wan to make your own tamo you need a net, we are the only European tackle shop to offer this guenine tamo net. 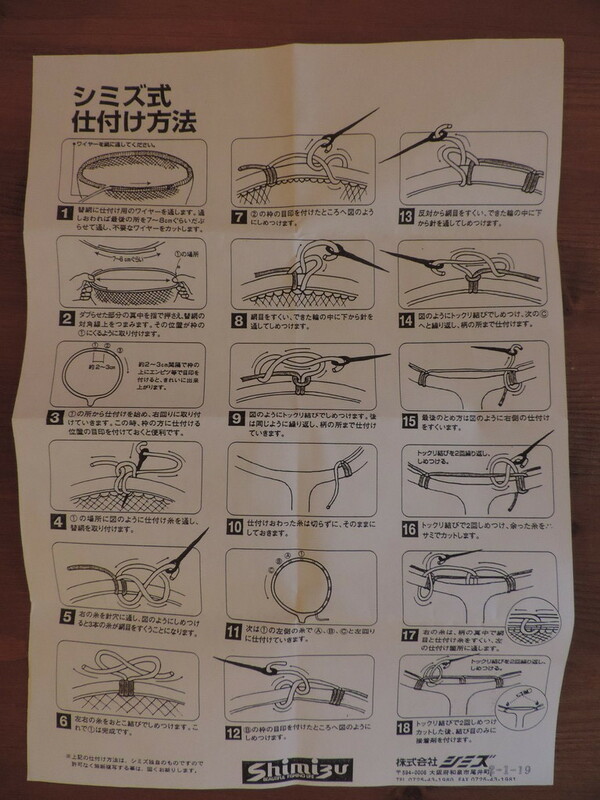 It is hand-made in Japan by a small company called Shimizu. 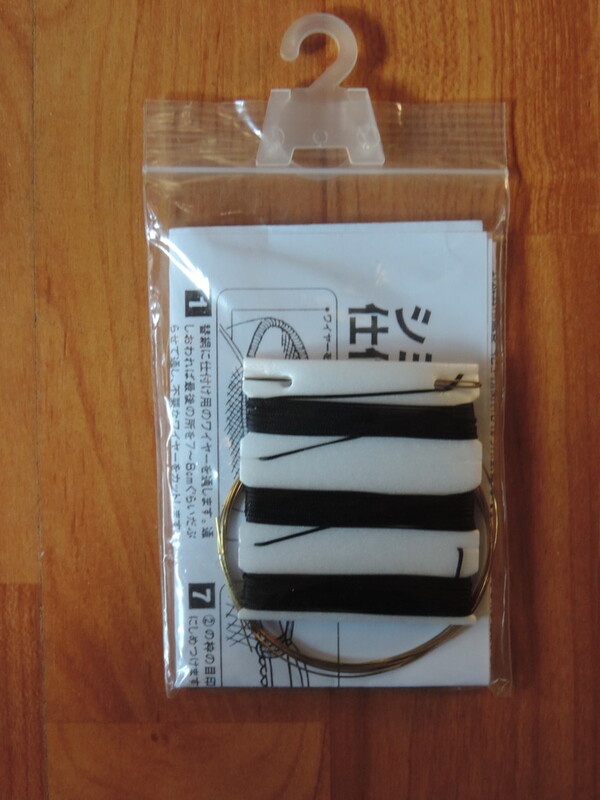 This kit is offered by Shimizu and includes the necessary hardware to attach the net to the frame of your tamo. A needle, brass wire and cord. Includes a step by step sheet depicting the whole process.